What more do I need to say? Viggo Mortensen’s horse master had it right. That’s why I’m taking the slow route with my book promotion. My friend Debrah, the writer who helped me hone my book, and I are getting together tomorrow to plan strategies to promote our books. Debrah has published three, soon to be four, books. She and I are kind of alike. We want to plan our own strategies for promoting our books. It’s good to read about how other people have created massive interest and lots of sales for their products, but I’ve always been a little bit of a rebel when it comes to rules. I hardly ever follow a recipe exactly as written, and as I’ve written before, I didn’t follow all the rules when I was a teacher. I feel the same about promoting my book. There are so many stories of people and their “instant” success. For example, hugely popular actors like George Clooney who slept on his Aunt Rosemary’s couch for a year or so, then took small parts for ten years before his big breakthrough. Or Jim Carrey who at one point lived with his family in their Volkswagon van, before getting his break as a stand up comedian. Even authors like J.K. Rowling had hurdles to jump over before their books became hits. Taking our cue from others who “made it” after lots of effort, Debrah and I will create our own method, all the while believing in our work, forging relationships and continuing to write. 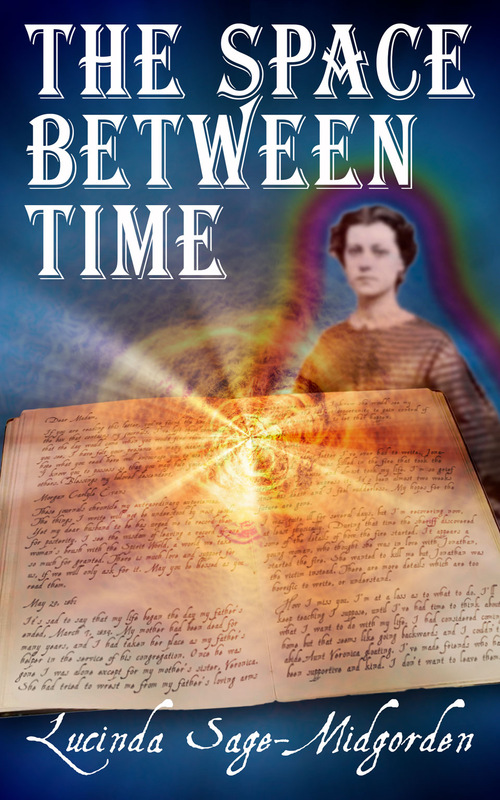 Since the ebook version of The Space Between Time is finally published, find the link below, I’d like to share some ways you can help promote my book, should you choose to read it, and those of your favorite authors. I got these tips from an article “13 Ways to Support an Author Without Ever Spending a Dime,” by Florida author, Steph Post, from a site called Lit Reactor. You can read the full article for yourself. I’m picking and choosing my favorites to list here. “Anyone, anywhere, can purchase a book on Amazon. A library book can give an author a sense of how far their book has traveled,” Ms. Post writes. I plan to ask friends all across the country to request that their local library carry my book, which is the second suggestion on the list. Request that your local library carry your favorite books. You can go to sites like Necessary Fiction and Small Press & Indie Book Review and request a free copy of a book you might like to review. This can help you if you’re a new author and/or reviewer. It also helps the author. Another way to help an author is by writing a review on Amazon, iBooks, or Goodreads. I have an author page on Goodreads and have just listed The Space Between Time on it. If you follow any of my author pages throughout social media, consider writing a review. That helps me get more exposure. Again, you can do this for all your favorite authors, especially those just starting out. If you read a book, especially one by a new author, and your bookstore doesn’t carry it, suggest they stock it. This goes for any book you liked reading, even if you checked it out from the library. You can suggest they create a feature books display, or introduce it in their newsletter. I have friends in Portland, Oregon and I plan to ask them to suggest my book to Powell’s Books. It’s the largest independent bookstore in the world, so if one of their employees reads my book and likes it, and they feature it in their newsletter … well, that would be a dream come true. When your local bookstore listens to you and buys the book you suggested, pull the book out so the browsers can see the cover. Use your selfie stick and social media to promote books you have read and loved, even if they are older. It might revive interest in the book. Remember to be creative! I don’t know about you, but it seems self-serving to nominate my own book for an award. I have a love-hate relationship with awards anyway. However, as Ms. Post points out, many sites with awards, like Goodreads, are reader driven, so nominate your favorites. Word of mouth is still the best advertising tool, so be creative about sharing the news about books you have enjoyed reading. Thanks for reading. Feel free to leave a comment or share with your friends. The Space Between Time will soon be available at Amazon, iBooks, Barnes and Noble, and other ebook retailers. You can download it today at Smashwords. I’ll let you know when the print versions are ready. I was going to make this post about the marketing and promotion that is a necessary part of publishing a book, but this morning I saw a TED talk by Elizabeth Gilbert from 2009 about what happens to many creatives after a big success. She related what she had experienced after the explosive success of her memoir, Eat, Pray, Love. It wasn’t her reaction to the fame, that caused her to take a step back and examine the creative process, it was the reaction of others. I don’t know why we think we have a right to comment on, or be concerned for other people in intrusive soul killing ways. When Elizabeth related the fact that people were indicating that she had created her ONE masterpiece and how did she feel about that? And how was she going to cope with that fact? I cringed, just like she did. The thing is, she has written another big block buster book since her first. It’s Big Magic, which I have read. It’s about the creative process and it’s been an inspiration for me. She debunks lots of old myths about the tortured artist idea. She’s right it’s time to think of artists in new ways. And she wrote the book for artists, so they can be cycle breakers. I decided to break out of the starving, tortured artist mould and just have fun writing. Here’s the thing, I’ve written a novel, my first. It took me seven years to complete. It’s taking my husband a week, to prepare the manuscript for publication as an ebook. Then it will take us two or three weeks, maybe more, to complete the process to publish it for the print-on-demand version. It will be a big relief and, of course, I’ll have lots of work to do promoting the book. It may be popular, it may not. But I have lots more to say, and in fact, I’ve started work on its sequel. In addition, I have begun a fantasy book, and I’ve got an idea of taking some of my blog posts and creating a book of them as well. None of my work may hit the New York Times bestseller list. I have fun visualizing that one or two will, but if that never happens, I’ll be just fine. Because I write for me, not for you. Sorry if that sounds callous. I do hope that my work touches people, that they get something out of it. But, my writing is about doing what poetess Ruth Stone does, I’m catching ideas as they flow by and putting them down on paper. Only in my process, unlike hers, some of the ideas come and pitch a tent, go fishing, hiking, bathe in the sun, roast marshmallows at the campfire for a while before they turn back to letting me in on what it is they want to say. I have lots of ideas camping out in the back of my head. So if one of them comes to fruition and it’s popular, that’s great! But I’ve got others waiting to let me in on their secrets, and when they do I’ll learn something as I’m writing them down. I hope next week to share the download link for The Space Between Time. If you decide to read it, I hope you’ll share it with others, and even write a review. Thanks for reading. Feel free to share this post with a friend, and leave a comment. After seven years, it’s finally happening! In a way it’s hard to believe that The Space Between Time will launch Memorial Day weekend. The book should be available at all ebook retailers by May 30 or 31. it takes Smashwords awhile to format the book for the different e-reader formats. My husband and I have decided to do what we call a soft launch by publishing the ebook first. In two or three weeks we’ll launch the print-on-demand book, which we hope to make available in both hard and paperback. It’s been a long, at times frustrating journey, but one that has convinced me that the writing life is for me. I’m already working on the sequel novel tentatively titled Time’s Echo. Below find the book description, written by my good friend Debrah Strait. It’s much better than the one I wrote. Also endorsements from Debrah and another friend, Dorothy Sander, their books and contact information are also listed. I’m so grateful to both these women for their comments on, and support of my work. Life is not going well for Jenna Holden. Her live-in-fiancé walks out. Instead of the promotion she’s expecting at her book editor job, she’s fired. Her estranged mother is in a terrible accident that may kill her. And Jenna must return to the small town where she grew up to recoup. With all that’s happened she sees no future for herself. But then, in her mother’s attic, Jenna finds journals written by a long-dead ancestress. They transport her to another time and place, giving her access to the thoughts and feelings of another woman, also alone in the world, who is facing similar trials of heartache and loss. Reading them somehow gives Jenna an escape from her own pain and sorrow, yet offers a doorway to resilience, healing and the joy of a supportive love. Jenna need only find the self-knowledge and courage to step through, into that space between time. Lucinda Sage-Midgorden cosmically blends the lives of two women, generations apart, and takes her readers on a compelling journey into the heart, mind and soul of every woman. The Space Between Time is a clever, page turning book. Worlds apart, each woman wrestles with the familial and cultural claims on their lives and the vagaries of life itself. Determined to follow their hearts, no matter where they take them, their severest tests birth their greatest strengths. Separately, yet together, they grow in wisdom and understanding and find their way home to their hearts. A great read. Dorothy Sander, Author of Finding Hope, Quotes & Inspiration for the Midlife Woman, and founder of AgingAbundantly.com. She can also be found at Dorothy Sander about.me/dsander and Aging Abundantly on Twitter. This intriguing story of two women, living in two different time periods, caught me early on and never let go. There are accurate historical details, challenges of loss and heartache, mysteries to solve, and love to find for both women, in a well-paced and satisfying read. It is a book to be savored and re-read. Flash of the Pen – 22 pieces of flash fiction, plus two haiku. By July, book #4 will be launched. Title: Notes From Bisbee; Twenty years on the Border with killer bees, rattlesnakes, and folks in need of attention. It’s a collections of her Christmas newsletters sent out every year since 1996, a memoir of sorts. You can find Lucinda at: Facebook writer’s page, Goodreads Author Dashboard, Twitter, and She Writes. And if you want to join my email list for updates on all my creative projects, click here. Today I’ve just returned from Portland, Oregon. Actually, as I write this, I’m fantasizing about my upcoming trip which begins in a few days, so technically I haven’t gone yet. However, I won’t get back in time to prepare this post, so I’m scheduling it ahead of time. It’s been nearly twenty-one years since my husband and I moved from Portland to Southern Arizona and believe it or not, we’ve never been back. It was a great place to live mostly because of the scenery, lots of fantastic entertainment, and the great bookstores. 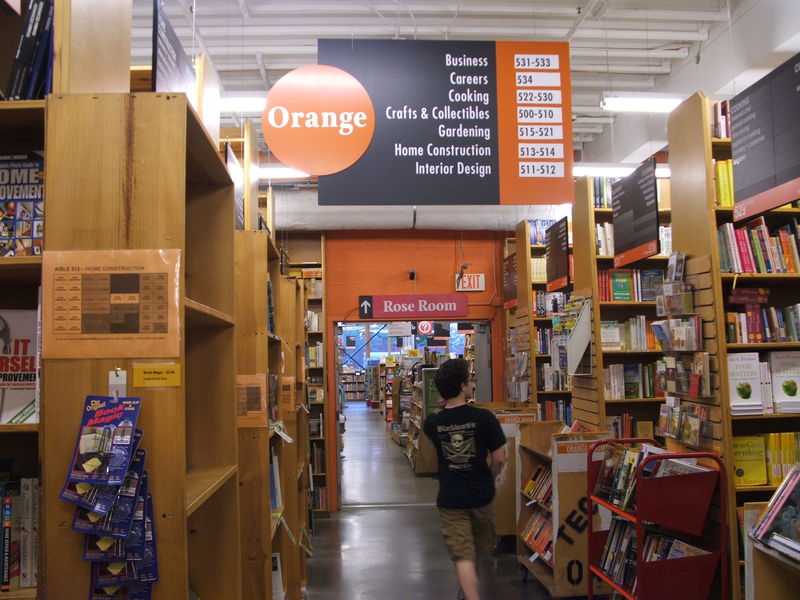 In fact, Portland can boast of having the largest independent bookstore in the entire world. Powell’s City of Books took up an entire city block when we lived there. I can’t wait to see if it has expanded. You can be sure I will be making at least one visit to the store and I plan to buy at least one book while I’m there, more if I can fit them into my luggage for the trip home. As I recall the bookstore had a coffee shop, several levels and rooms each dedicated to a specific genre it may take me several days to explore it. I’ll be taking pictures, you can be sure, and I may dedicate my next Loving Literature video to my experience there. I haven’t told many people this, but it’s a favorite fantasy of mine to have book readings at the store. It may not happen until I’ve published my fourth or fifth book, but I keep visualizing what it will be like to read and talk to a huge room full of fans about my writing process and share parts of my new book with them. In my mind’s eye it will be a rare sparklingly sunny day with the profusion of flowers, particularly rhododendrons, azaleas, and the roses the city is so known for. I’m not a very gregarious person, but I hope to strike up some conversations with the employees and maybe interest someone in The Space Between Time. One way I thought I’d do that is to ask for advice on a little known, but great book to buy. Or maybe I’ll sit in the coffee shop writing or reading and find a friendly patron to talk with. I’m determined to be more open to great conversations with people who love books. Thinking about books and how much reading has done for me, I thought I’d share a scene from my second novel, tentatively titled Time’s Echo. This is a rough draft, and may not end up in the final version of the book but I thought you might be interested in reading it and making comments. Time’s Echo begins two or three years after the end of The Space Between Time. Jack, Jenna’s husband, has opened his center for the arts. Though Jenna’s primary job is working on her second novel about her experiences with Morgan, her three-times great-grandmother, she also offers classes at the center. In this scene, she and her friend Naomi are wrapping up just such a class. 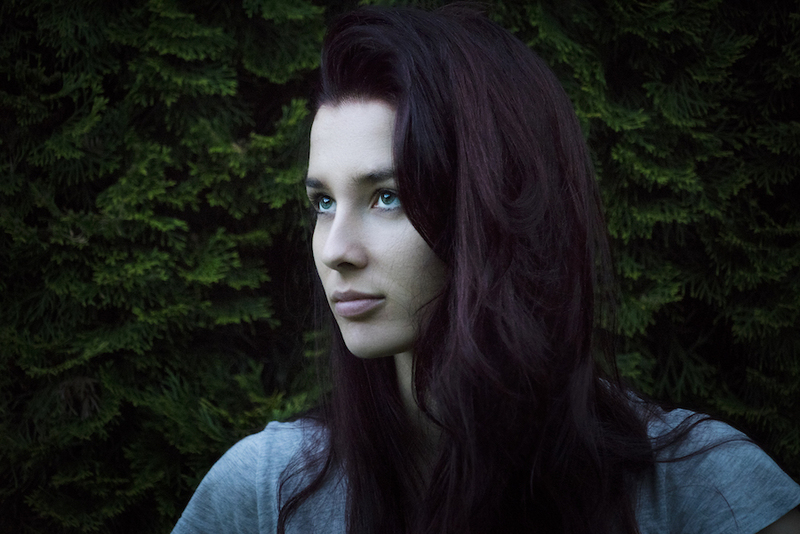 My idea for this novel is that Jenna’s ideas about women that she expresses in her writing and in public will put her and her family in some dangerous situations. This scene shows that not everyone hates her. “Ms. Holden, I wanted to thank you for teaching this class. I had no idea there were so many powerful, and creative women throughout history,” said Amy. She was one of the students who was taking classes on scholarship at the Umpqua Center for the Arts. She was a bright girl. Jenna was glad she had been privileged to have her as a student. 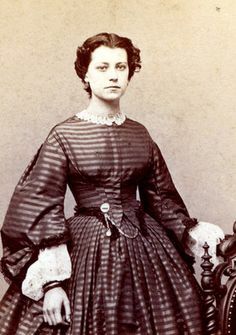 At first Jenna had thought she’d be much too busy writing the next book about her adventures with Morgan, her three-times great-grandmother, to teach classes. Since finding the box containing the journals, she had been living in two worlds. It was sometimes difficult for Jenna to focus on the present moment. 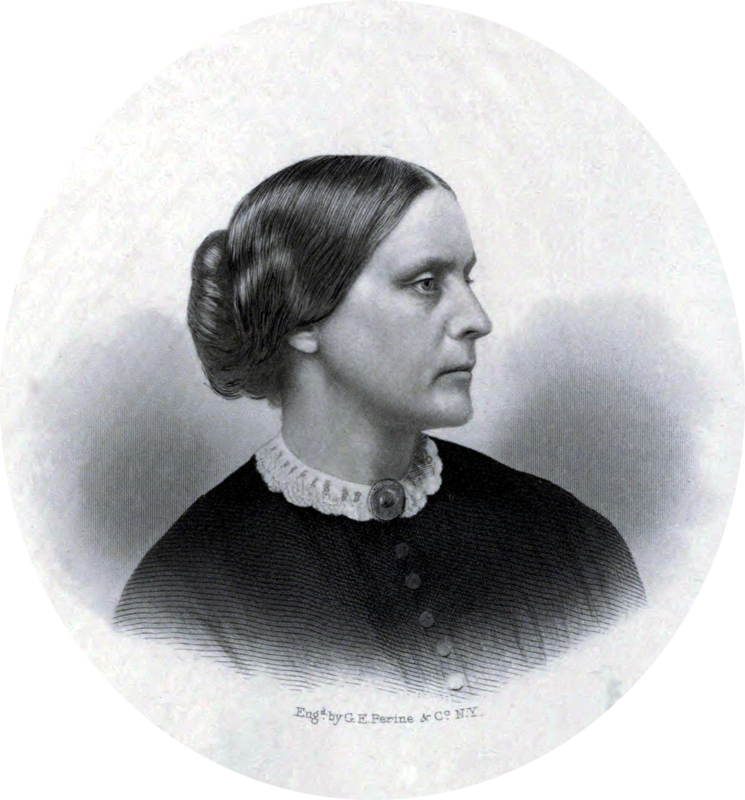 However, Her mother’s dear friend Naomi had suggested the class about prominent women and their contributions to the development of humanity. She offered to team teach the class with Jenna. Given the political climate, the two women saw the class as their way of helping their students see that women have always been making important contributions. This was the last day of the class. Jenna had thoroughly enjoyed teaching it with Naomi, though they were really more like facilitators. The students were the ones who had chosen women they found interesting, then taught each other about their achievements. The center was a success because the course offerings were designed for the enrichment and enjoyment of local residents of Roseburg and the surrounding environs as well as drawing students from farther afield. The courses were unique, relatively inexpensive, and weren’t offered anywhere else. Obviously the class had been a big hit because other students hung around to talk to Naomi and Jenna. What surprised Jenna was the fact that several young men had taken the class. Because of that there had been some lively discussions about the rights of men and women. In the end through consensus, the students decided that the class was really about human rights. 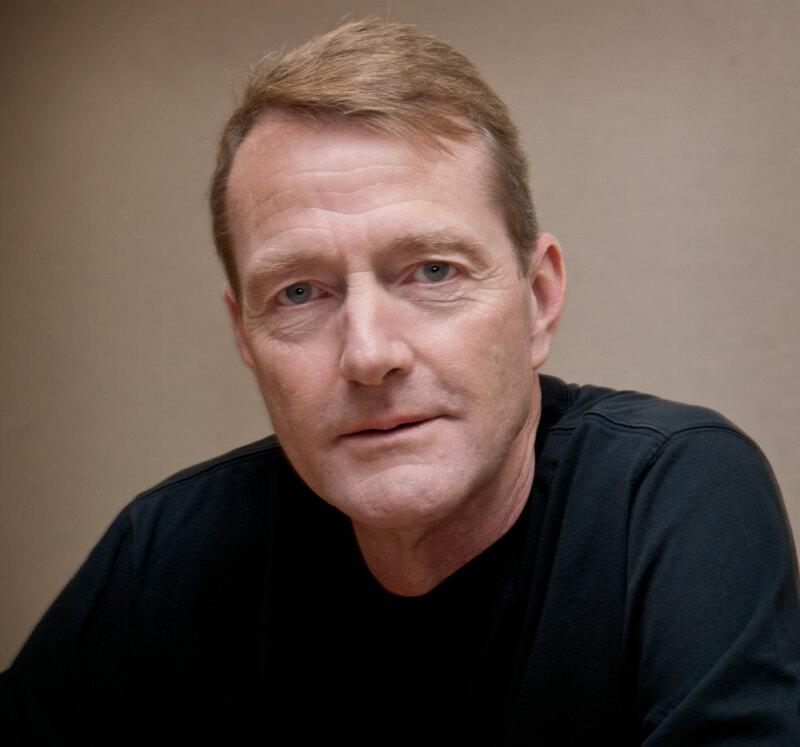 Lee Child, author of the Jack Reacher series. I’ve gone back to working on my sequel novel to The Space Between Time, and because of that and the political climate, I’ve been doing lots of thinking about my characters Jenna and Morgan and their relationships with their husbands. I’ve known for quite some time that Morgan becomes a Suffragist, and Jenna has a tangle with the conservative right who want to keep women in their place. But when I first started working on that manuscript in 2014 I felt a little bit stuck. Things were going along pretty smoothly at the time but events have turned to give me more fodder for my imagination. Because of that I’ve been thinking about how Jack and Seth will react to their wives becoming activists. I want to get into their heads to see what interesting things their struggles will bring to the story. This book may turn out to be more about how men and women relate to each other than Jenna and Morgan’s involvement in the women’s movements of their respective time periods. As I’ve no doubt written before, my mind is rarely quiet. I’m always storing away bits of information I pick up from the books I read, current events, the movies and TV shows I watch, and conversations with friends and family. Every once in a while all the disparate things I’ve been thinking or observing come to a conjunction and I get a big AHA. I’ve recently had one of those ahas when I read an article about “The Awesome Omega Male.” I don’t want to go into detail about how my thinking came together, however, I will say that I’ve come to some interesting conclusions about the different kinds of male characters in movies and books. My husband and I had been watching many action movies lately. After reading the above mentioned article, I realized that male oriented action movies come in two basic categories. There are the alpha male movies with the characters who are egotistical and on a rampage of revenge. It could be as trivial a reason as somebody messed with their stuff, or crossed them in some way. I don’t like those kind. They don’t seem to have a point. In the other category there are characters who are alienated from society, but they have more omega male qualities. These characters are introverted and like it. They don’t go seeking trouble but if it comes, they have the skills to take out the bad guys. They can be empathetic and kind, but for the most part they like working on their own. They don’t have much of an ego because they know their own strengths and weaknesses and how use both to accomplish their goals. In this last category of movies, the men use violence only when necessary to protect those who really need it. One thing I loved about the article on omega men was it defined the type of men I grew up knowing. I knew that I could go to my father with a problem and he’d listen without judgment. I could rely on him to protect me if I needed it, but he also encouraged me to stand up for myself. So that’s the kind of male characters I created for The Space Between Time. When my writer friend told me that she thought my male characters were too soft, I told her I wrote the kind of men I knew, yet I did consider making them tougher. However I just couldn’t do it. I liked the men I’d created, and I didn’t want to change them. The article on omega men gave me the justification for the type of male characters I had written. As Lee Child, author of the Jack Reacher series says, “Character is king.” He’s right. We remember characters over plot, but the plot is what the characters swim in to learn their lessons, to grow and change, and to accomplish their goals. That means that we must create lots of challenges for our characters to deal with, which in turn helps us show who our characters are. Child also said in the introduction to the first Jack Reacher book, that he likes characters who are winners but alienated in some way. He likes characters who are confident and who can defeat their enemies. We have traditionally thought that the winners are the alpha males, the strongest, loudest, most domineering egotistical men. But the world is changing and so are men. We need winners who fight for all of us, not just to make themselves look good. As I’ve been thinking about the omega male model, I’ve been comparing it to the female psychological models. According to an article I read by Stephanie S. Covington, Ph.D., L.C.S.W., and Janet L. Surrey, Ph.D., women’s primary motivating drive is toward connection with others. Alpha males think that’s a weakness but we’re discovering it’s a huge strength. That’s the one omega man trait that the above movie characters struggle with. Many of them have had a significant close relationship, or they would like to have a connection with someone but for now, they’re loners. Since reading, as the Lee Child quote above says, is like taking a writing seminar, I’m reading some Jack Reacher and other books with strong male characters. I want to get a different perspective on men so I can use this information to flesh out Jack and Seth and the other male characters in my book. I want them to be distinct from each other and believable, but most of them will continue to be omega males. I’m discovering that reading really is a fantastic way to become a better writer. To join my email list click here. One thing I’ve learned is that we each see the world from our unique perspective and often, because of our personal filters, what we think is true, isn’t true at all. I first began to consider this through someone else’s story. This woman is a kind of mentor figure to me and she told me of an incident with one of her children. They were reflecting on some event when he was young and she said to him, “And do you remember the love?” to which he replied, “No, what I remember is the condemnation.” This was, of course, a shock to her. As she and I talked I understood that no matter what happens to us, we interpret the events through the filters of the way we feel about ourselves, and through our responses or reactions to what has happened to us in the past. My friend taught me to take a step back when I was in conflict with someone else. I had to take a breath and ask myself, through what lenses am I seeing this situation? Is my perspective affected by my reaction to past events? Asking those kinds of questions is a vitally important communication tool. With that in mind, here is another short section of The Space Between Time. In this scene, Jenna and her new friend Jack, have gone to a barbecue with some of her high school friends. Here Jenna finds that maybe she had been wrong about her mother’s reasons for being distant. Perhaps her mother did love her and one of the ways she showed that was to support Jenna’s school activities. There is more to that backstory, but you get the idea. Let me know what you think, and don’t be afraid to point out any errors, or improvements that I could make. During dinner, Jenna was surprised when the conversation turned to her mother. “Remember the sleep overs your mom let us have?” Matt said. Jenna crinkled her brow. “Sleep overs?” She had no idea what Matt was talking about. Jenna was stunned. She didn’t remember those times at all. “Yeah, I miss her,” was all Jenna could choke out. I had the cool mom? Why had she blocked out those memories? The swirling telescoping feeling she had the day she stood on her mother’s front porch after the funeral came back. Guilt engulfed her. I have blamed you for my unhappiness all these years. She couldn’t wait to get home to her journal to process her tumultuous emotions. I wanted to include this little scene in my book because I, like many of us, blamed my parents for things that happened in my childhood. But, as children, we never know what our parent’s are dealing with. We don’t know their whole story. We forget that they have challenges and emotional baggage too. Most of them are doing the very best they can. I wanted to show that Jenna was finally growing up and able to understand her mother a little better just as I did my parents. By the way, I had the “cool parents,” and I loved that. I love reading. For me it’s a lesson in writing. I learn about writing from the great books as well as the not so great ones. Recently I’ve read two books with great stories, but with not such great writing. I’ve been thinking about sending messages to these writers to point out things that bothered me about their books. But here is my dilemma. The books are already published, and I’m a new writer, so do I have the right to critique their work? I don’t know these people personally. One has written many books, while the book I just finished is the first novel by the author. Both writers have won awards. The books are fantasy. Hmm. Maybe the standards are different for fantasy writers but I don’t think they should be. I had some great mentors while writing my book. Even though it hurt a little to hear that I still had work to do to improve my manuscript, in the end I was grateful. And I’m committed to making my book enjoyable for the reader. I don’t want them to skip sections or be irritated by the writing. Here are some things I learned from my writer friends that I think these authors could benefit from. The information dump. There is always important information the writer wants the reader to know, but to stop the action to dump the information all at once is not good. Spread the information out a little at a time throughout the book. Use of adverbs. Now, when my writer friends first talked about this, I didn’t believe them. I thought that adjectives and adverbs spruced up my writing. Then I read a series of books that I loved, but the writer used an excessive amount of adverbs and I got irritated by the shear number of them. I got the message loud and clear. I went back to my novel and cut out almost all of the adverbs. Creating the world with language. In fantasy, sci-fi, and historical fiction you have to send the reader to the world you’ve created. Therefore, the language needs to be different than the everyday language we’re used to. If a writer uses current idioms or slang, it throws the reader out of being immersed in the story. Edit, edit, and edit again. 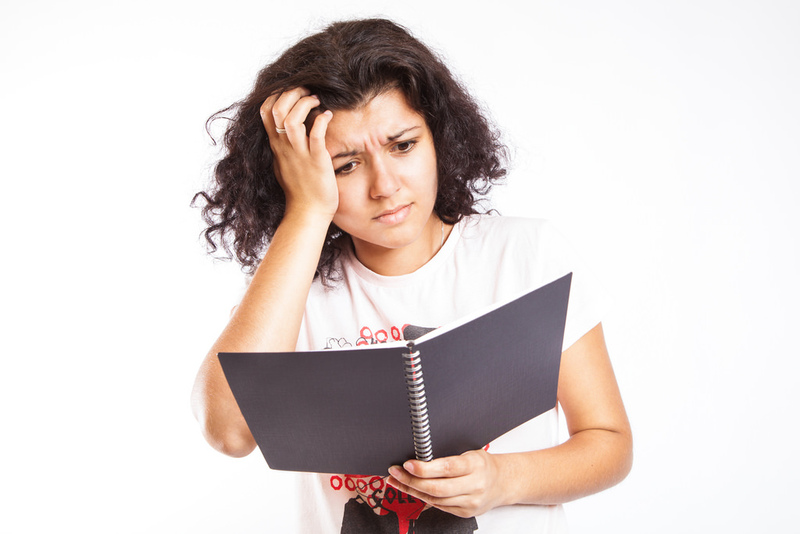 If I read a book and there are only one or two typos, stray words, or even awkward sentences, I just read over them and don’t think a thing of it. But if there are lots of them, I get annoyed. After reading these two books, I’m inclined to go back and take another pass through my novel. I was going to use a section of my novel in this post today and found a mistake. Whew, dodged another bullet. The more eyes on your work the better. So, the teacher part of me says I should send the critiques. After all, I was irritated as a reader and if I was, others might be too. I want these authors to be successful. And maybe we can help each other become better writers. This week I thought you might like to read a section from early in Morgan’s story in the past from my soon to be published novel, The Space Between Time. This segment takes place in the past. Morgan is Jenna’s three-times great-grandmother and upon finding Morgan’s journals, Jenna sat down to read. When she did she entered Morgan’s consciousness. This scene takes place on the day of Morgan’s father’s funeral. At that moment, her Aunt Veronica opened the sliding doors and stood glaring at her. Morgan’s heart took a little summer salt but seeing her aunt’s face cemented her resolve. She stood up, straightened her spine and stepped past her aunt. Jenna’s panic drained away as Morgan relaxed her face so that no emotion showed at all while staring into her aunt’s cold eyes. While neither woman spoke, Jenna felt the vast difference between the woman standing in front of them, and Morgan’s mother Julia. Gold, silver and shimmering diamond described Veronica. She was a handsome woman, but cold, ambitious, and hard-hearted. Morgan’s mother Julia, on the other hand, had been made of different colors, pink, green, and lavender. 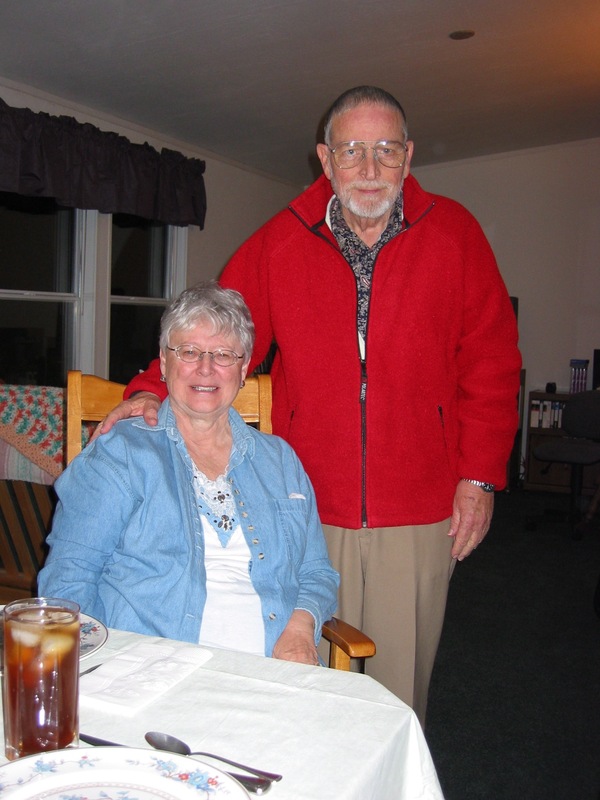 She had been a loving, open minded, and caring woman. Morgan gasped. How had her aunt found out about that? But her part was small. Other members of the congregation had larger roles in helping escaped slaves cross the border to freedom. I hope you enjoyed this little segment. You can join my mailing list here if you are interested in receiving notification on this and other of my creative projects.